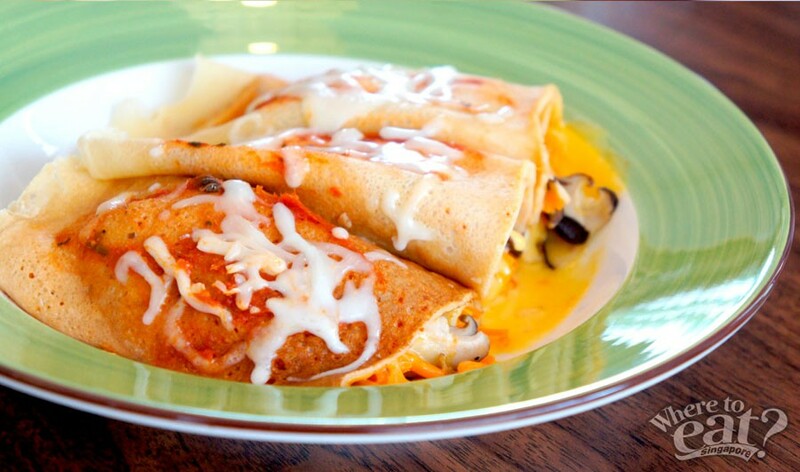 Try the Canneloni ($6.50) which is a combination of carrots, onions and lettuce wrapped in thin crepe. Heated with mozzarella cheese on top to serve, the dish was warm, light and crunchy. 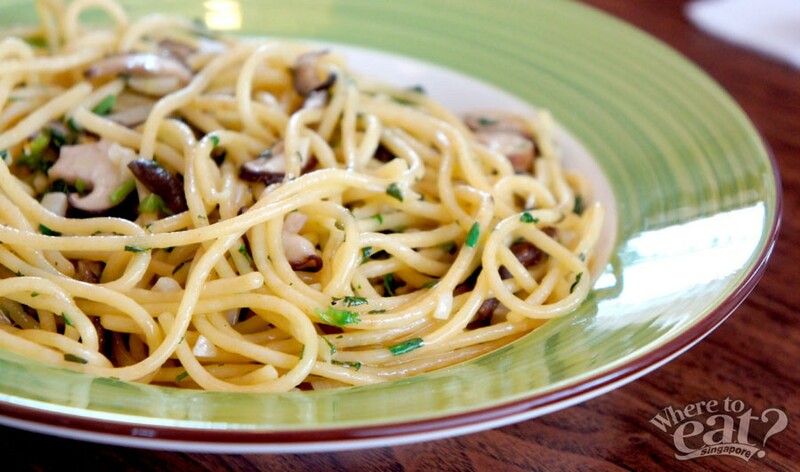 Those who prefer something heavier for lunch, try the Aglio Olio ($6.50) with sauteed mushrooms filled with natural flavours from finely chopped cilantro and chilli pepper. 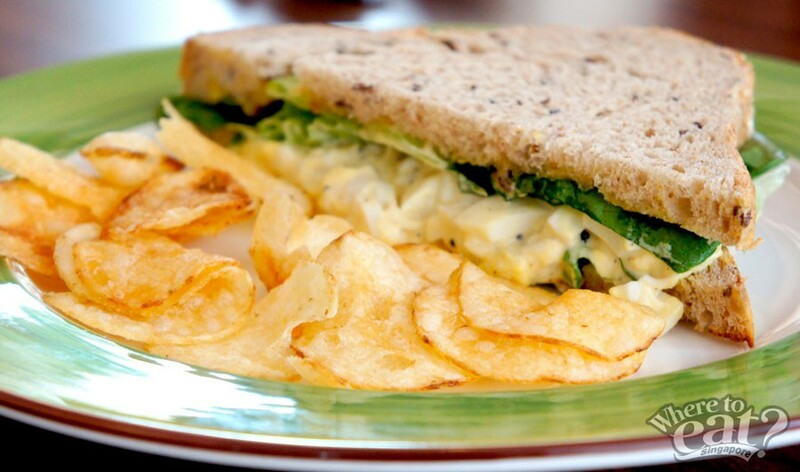 There is also Egg Mayo Sandwich ($4.50) served warm or chilled with lightly salted chips. For snacks with friends, try the Dumplings ($6.50) drizzled with light sauce and sliced ginger. If we counted right, there were ten or more scrumptious dumplings for six-fifty only. 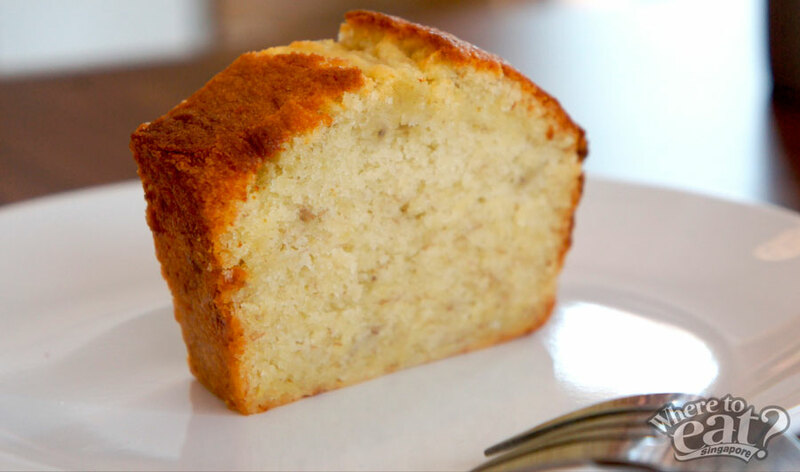 Do not forget to try a slice of the fluffy soft and buttery Banana Cake that is baked fresh every day too. It will make a good closure to your meal. Somehow, we wished the cafe was nearer to our office. The reason extends beyond friendly volunteer staffs and good food that makes you feel home. 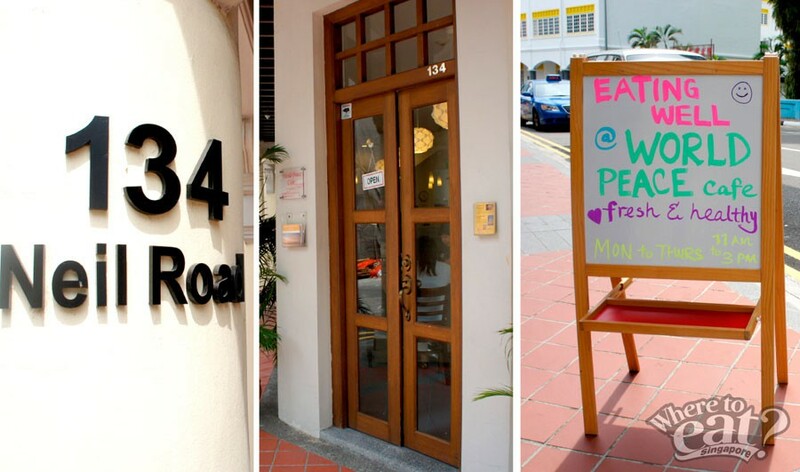 When you decide to eat at World Peace Cafe, any money you spend at the cafe will go to support meditation classes at Kadampa Meditation Centre Singapore, that is just above the cafe. And special events designed to help people find peace of mind. So it is like doing a good deed with each humble food you eat.